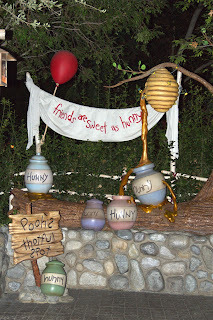 Thoughts from a Traveling Tech: Pooh to you! 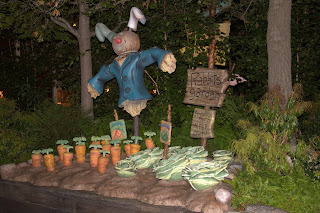 Going back a bit to bring you a few shots from Disneyland this week. Today we are hitting the places setup by the Winnie the Pooh attraction for guests to take pictures of their loved ones. These two really struck me because the little bear was one of my favorite stories and cartoons when I was really young. Well, that and Riki-tiki-tavi, but that's a whole different show. So here is Rabbits Garden. This place has been destroyed by so many different attackers. There was Tigger bouncing through, Pooh rolling through, the Mole digging it up. It'a a wonder he ever got anything out of it. 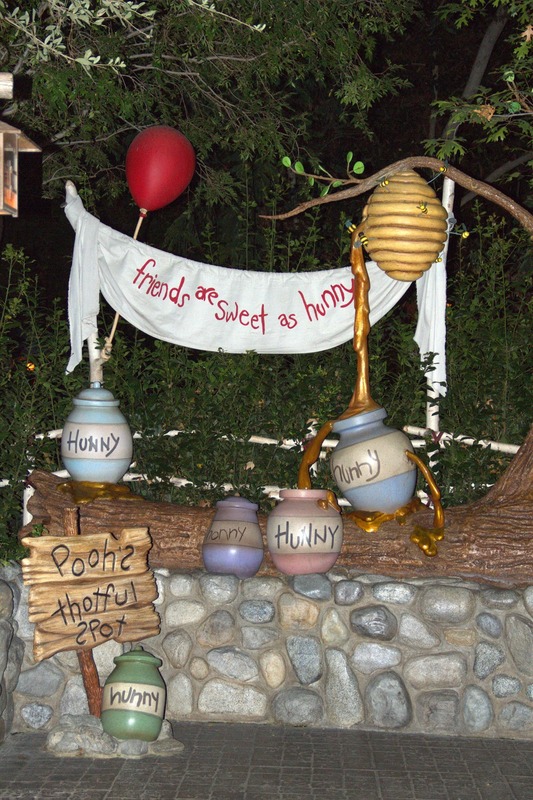 And now we come to Pooh's World Famous Thinking Spot. Yep it is in this very spot that the stuffed with fluff bear had many an idea about... Well, maybe not that many ideas. But you can just hear him sitting here saying "Think. Think." Any places you have that remind you of your youth?